Divorce is a much more straightforward process where parties are in agreement about what should happen next. 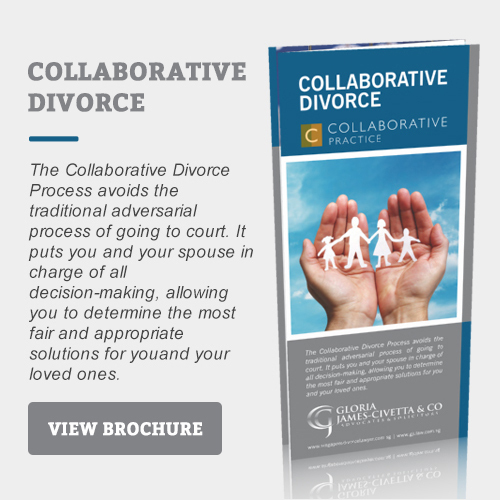 Collaborative Family Practice (CFP) is a dispute resolution process whereby couples who have decided to separate or end their marriage, can avoid the lengthy and costly process of a contested divorce through negotiation. 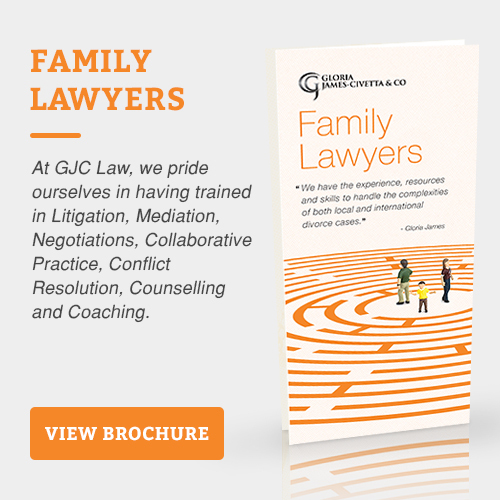 The goal of the collaborative family process is to help couples to work successfully within the Collaborative Law Structure to achieve a positive outcome for both parties, whilst trying to avoid the social, emotional and economic strain a traditional divorce can have. 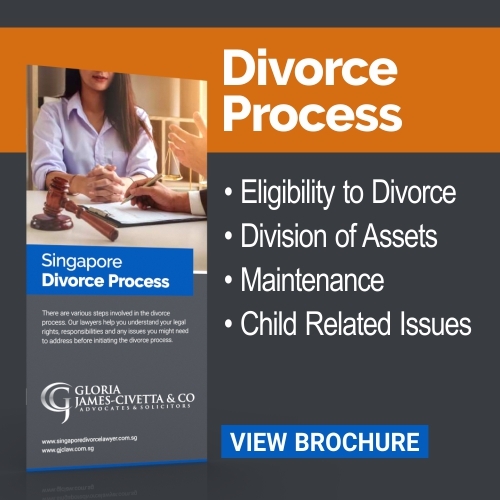 Here at Gloria James-Civetta & Co we want to help you and your former partner reach an amicable agreement and make the divorce process as simple as possible. Contact us today to find out how our team of specialist lawyers can help you. 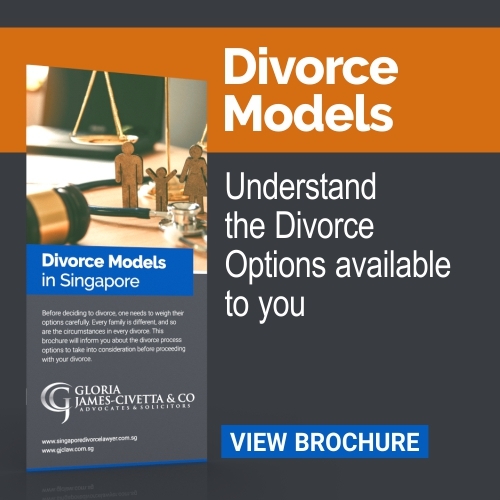 CFP is a voluntary, client-centred process, whereby each party engages their own Singapore Dispute resolution Centre-accredited lawyers who work together towards achieving an amicable result for their clients. Ms. Gloria James is amongst the first batch of lawyers in Singapore to receive such accreditation. The lawyers act to facilitate negotiation between spouses, giving couples greater control over the entire process and, more importantly, over their decisions. Besides divorce, the collaborative process can also be used in other family law matters such as annulment, legal separation, pre-nuptial and post-nuptial agreements. CFP is practiced in countries such as the USA, Canada, Australia, the UK, Ireland and Europe. How does the CFP process work? 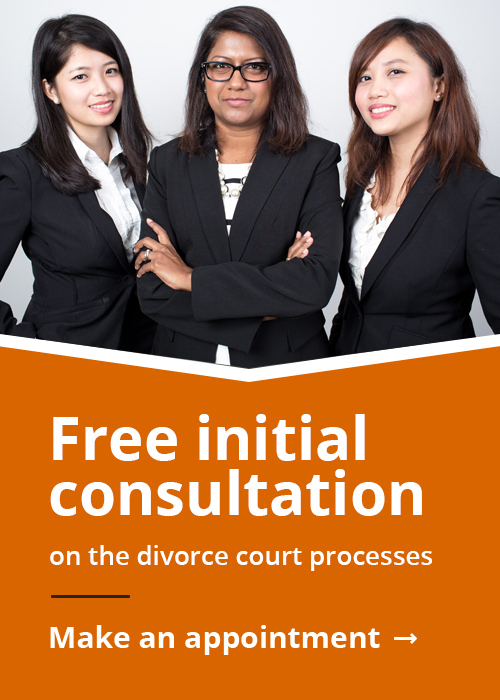 Both you and your spouse will engage a family lawyer who has been accredited by the Singapore Mediation Centre. In your initial meeting with your lawyer, you will discuss whether the collaborative process is suitable for your circumstances. Both parties, and your respective lawyers will undertake and make an agreement not to go to Court. This removes the threat of litigation, which can often overshadow procedure and be counterproductive to negotiations. Parties must also make full and frank disclosure of any required information. This ensures a more open and cooperative environment in which the parties can work through their issues. The collaborative process is confidential, meaning the terms of your settlement will not be public. All discussions and documents are legally privileged and conducted on a “without prejudice” basis. This means documents and discussions cannot later be used in Court proceedings should no settlement be reached (with the exception of financial disclosures). Most of the negotiations will take place face-to-face. These meetings will normally involve you, your partner and your respective lawyers. This allows you and your spouse to be in control of the negotiations and reduces any misunderstanding. Correspondence between your lawyers is kept to a minimum apart from the exchange of meeting minutes and discussion points for future meetings. Once settlement has been reached, your lawyers will draw up a settlement agreement which will be filed in the Court as a draft consent order for approval. The Court will seal the terms and turn them into a Court Order. NO, parties may feel forced to do something due to the pressure of winning or losing in Court. The parties must comply with the Court’s orders. YES, the lawyers facilitate parties negotiations with each other. Their words cannot be brought up in later Court proceedings. YES, parties and their lawyers work towards a common goal. NO, parties and their lawyers are pitted against each other – win/lose system. YES, lawyers seek to reach settlement that is in the best interests of both the client and the family unit. NO, as it all depends on the parties. No finality of the matter, and it has to proceed with a litigation route. YES, a judge will make a decision regardless. There is a finality of the matter.